Join Cunard's illustrious queens as they traverse the world’s oceans on journeys of global exploration. From regional voyages to a classic full circumnavigation, you can enjoy countless exotic shores. 12 March 2019, 8am - On sale to Cunard World Club. 13 March 2019, 8am - General Sale. From November 2020 to May 2021, the Cunard fleet will travel 138,833 nautical miles visiting incredible places across the globe. The most famous cruise ships in the world call at 94 destinations in 38 different countries, including 4 maiden calls for Cunard's current fleet. Each voyage, whether it’s a 2-night short break or a full 108-night world voyage aims to deliver refined journeys for their guests. Cunard has undertaken more world voyages and sent more ships across the world than any other passenger line, making them true experts in world voyages. Queen Mary 2, Cunard’s iconic flagship, will embark upon a classic voyage of global exploration, taking in such diverse regions as Southern Africa, the Indian Ocean, Australia, Southeast Asia and the Mediterranean. Queen Elizabeth will carry out a programme of exotic voyages that offer richer, deeper and more regionally-focussed itineraries. Across the fleet, Cunard’s winter programme covers the world, offering a blend of iconic, world-class cities and smaller, less well-known but equally delightful destinations. 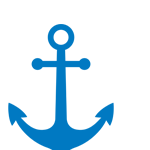 Their itineraries have been crafted to offer enriching days in port as well as plenty of time on board for guests to relax and enjoy all that their ships have to offer. 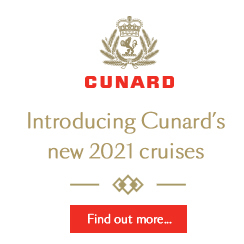 With more than 175 years of history, Cunard is one of the most renowned lines in the industry. The three vessels - known as the Three Queens - offer an elegant way to travel the world, with a sophisticated luxurious decor, gourmet cuisine, and spacious lounges to be discovered onboard. This is combined with insightful itineraries that feature longer stays in some of the most desirable destinations. Cunard is famous for its signature White Star Service; The Queen Elizabeth is no exception. White-gloved officers and crew on hand to provide the highest standards of service. The wonderful Cunard Insights programme provides a wide range of speakers, from explorers, academics and historians to scientists, novelists and biographers. Former ambassadors and politicians, award-winning actors and filmmakers have also given talks on historical and contemporary issues.